Material: Calliper made of ESD-safe material. Non-metallic high-tech material with 60% fibre-glass content. Surface resistance 10^6 - 10^9 ohms. Scale: Dial, diameter 35 mm. Reading: 0.1 mm; 1 dial rotation represents 10 mm. Application: For all work with electrostatically endangered components. 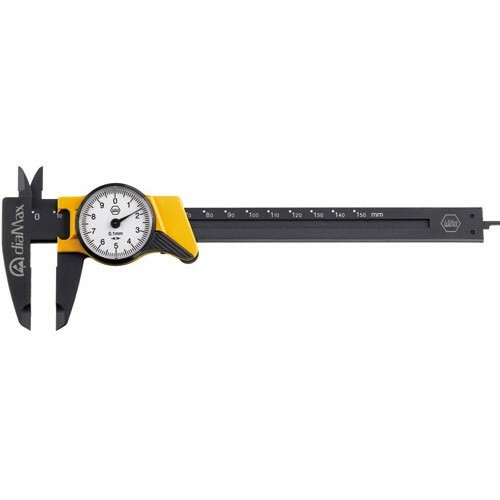 For outside, inside and depth measurements. Extra: Measurements in ESD protection zones and at ESD workstations. Impact resistant dial can be recalibrated to zero.